Jasmin graduated from the Pennsylvania State University and received a Bachelor’s degree in Journalism with a minor in Spanish. She has spent her career focusing on client relationships and continues to go above and beyond to ensure her clients receive the absolute best experience. 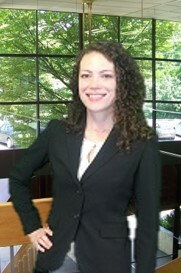 Jasmin has also spent several years of her career in marketing efforts. She is excited to be helping First Capital increase their marketing strategies to tell their story of being the Finest Wealth Management Firm. Jasmin loves to tell stories and has worked for multiple different media outlets in previous roles. She is ecstatic to be part of the First Capital team and contribute to the incredible FCAG story.